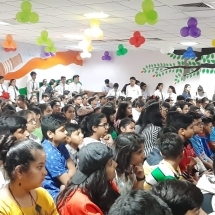 Children’s Day celebration began with an interactive session about ‘Happy Parenting’. 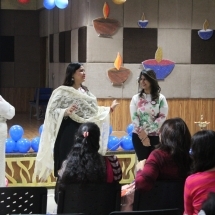 The session was conducted by Ms. Sonal Ahuja along with our Goenkan parents. 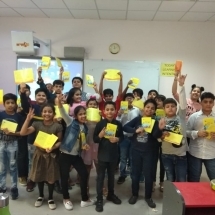 The children enjoyed during the day through various activities like Poster Making Competition (Inter- House) on Child Abuse- Prevention &amp; Awareness for Grade 4 and 5. 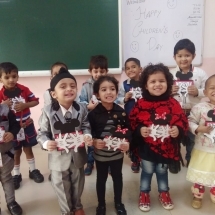 Our Pre-primary little Goenkans watched movies, made cards with resolution written on them. They enjoyed their healthy home cooked lunch and celebrated the joy of sharing. 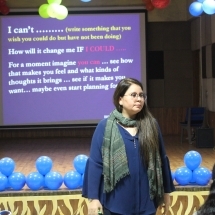 Our honorable Principal Ma’am showered her love &amp; blessings on children and gave a beautiful message. Special Assembly was presented by teachers through song, dance and a short skit. Few Goodies and a beautiful card added fun to the celebration. 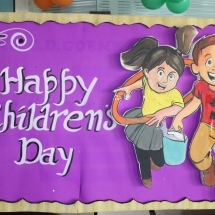 Team G. D. Goenka wishes a Happy Children’s Day to all their Children.